C Buster Posey SF Posey is a great player having a great season, that’s not to be denied. In any other year, his .303 average,10 home runs, and 42 RBI might easily make him the NL’s most deserving catcher. But it’s this year, and both Carlos Ruiz (.356/11/43) and Yadier Molina (.309/13/45) should be playing over Posey. To his credit, Tony La Russa did his best to right the wrong by placing both on his bench. 1B Joey Votto Cin The fans got this one right at least. With Albert Pujols and Prince Fielder out of the NL, Votto’s been given his chance to shine and made the most of it with a .350/14/47 line. 2B Dan Uggla Atl Dan Uggla has received the second-most votes of any NL player this year, and I’m not really sure why. Sure he’s tied for the league-lead in home runs—among second basemen—but he’s also hitting .234. Back-up Jose Altuve (.304/5/23) is far more deserving of the honor, but Arizona’s Aaron Hill (.300/11/38) has a better claim than either of them. And yet, Hill likely won’t even be on the team. He’s in the running for the final fan vote but will likely be outshined by Chipper Jones or Bryce Harper. 3B Pablo Sandoval SF Somehow, second base actually wasn’t the worst decision made by the fans. Seriously, San Francisco ballot-stuffers, Sandoval? Sure, he’s having a good year (.300/6/25) despite having only played in 45 games due to time on the DL, but he’s not even eligible to be included on leaderboards! Not to mention that if such an award existed, David Wright (.354/9/50) would easily be the NL’s half-season MVP. Boo I say. Boo. 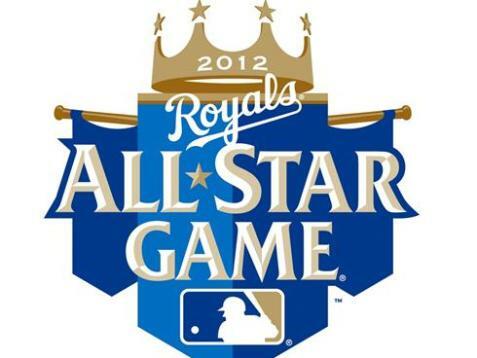 SS Rafael Furcal StL Furcal (.276/5/32) wasn’t the best choice, that honor goes to Chicago’s Starlin Castro (.292/6/40). Considering that their numbers aren’t all that different, Castro is still a reserve, and that he likely lost out because the Cubs are well out of contention, this is choice isn’t all that egregious. OF Matt Kemp LAD Kemp (.355/12/28) won’t actually be playing in the game due to injury, and being hurt is the only reason he might not deserve to start, so nothing’s lost here. Plus, before he went down, Kemp was carrying his team in a manner only David Wright understands. OF Carlos Beltran StL Another fine choice. Beltran (.308/20/63) has exceeded expectations in his first year with the Cards. OF Melky Cabrera SF Melky (.352/7/39) is just as deserving as his fellow outfielders, and although he wouldn’t win it, he’d certainly be in the running for half-season MVP. C Mike Napoli Tex While they did fine with outfielders, it seems fans had a tough time with understanding catchers this year. Napoli (.235/12/30) finds himself in a situation very similar to Posey’s. He’s having a good year, but either Joe Mauer (.327/4/37) or A.J. Pierzynski (.285/14/45) would have made a far better choice. 1B Prince Fielder Det The only player who could give the Prince a run for his money is teammate Miguel Cabrera, who switched back to third base to make room for Fielder (God knows he needs a lot of it). 2B Robinson Cano NYY Perhaps the only absolute no-brainer on this list. Cano (.313/20/47) is easily the best second basemen in baseball right now, if not the best player. 3B Adrian Beltre Tex When you flip the Beltre/Miguel Cabrera coin, you land on heads either way. No problems with this selection. SS Derek Jeter NYY (Certain) people love Derek Jeter, and it’s likely he’ll be starting in All-Star games for the rest of his career. At least this year Jeter (.298/7/25) actually deserves it (something that couldn’t be said last year and likely won’t be said next year), although back-up Asdrubal Cabrera (.295/11/40) is equally qualified. OF Curtis Granderson NYY Outfield voting isn’t limited by specific position, so you could make an argument for any number of candidates to take Granderson’s (.244/23/47) spot. Curtis has the fourth most homers in the bigs and plays for the Bronx, so he got the nod. OF Josh Hamilton Tex Did I say Cano was the only no-brainer? Whoops, add Hamilton (.314/25/73) to the list. OF Jose Bautista Tor The same can be said of Bautista (.243/27/64) that was said of Granderson. Arguments could be made for up-and-comers like Adam Jones (.298/19/42) and Mike Trout (.339/9/33), but apparently AL voters love their home runs. DH David Ortiz Bos It was either going to be Papi (.301/21/54) or Edwin Encarnacion (.292/22/55). It’s a toss-up, so the bigger shame is that Encarnacion was left off the team altogether, which he wouldn’t have been if Jose Bautista didn’t play north of the border as well. Now I’m on the one per team rule again, I’d better cut this out before I do another lap around the infuriating All-Star rules arena.